This beginner's rock climbing class in Los Angeles includes four hours of hands-on training in the fundamental skills you need to rock climb outdoors. Learn about safety, equipment, knots, anchors, and climbing vocabulary so you can communicate with your climbing partners. No previous experience is required and all necessary equipment is included. Numbers are limited to just six people, for a personalized class. Whether you're new to rock climbing or want to graduate from an indoor gym to climbing outdoors, this 4-hour class gets you started. Meet your instructor at 8am at Stoney Point Park just outside Los Angeles. An easy-to-moderate hike brings you into the park, where you'll go over safety and equipment basics, then practice the fundamental knots used in rock climbing. 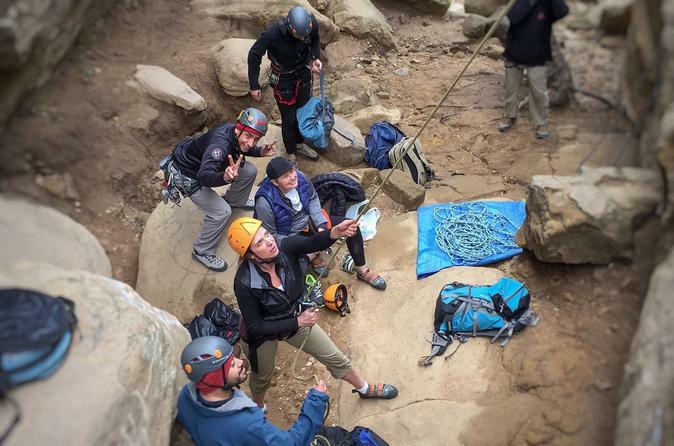 You'll learn how to belay, or secure a safety rope to an anchor point, and finally, the specialized vocabulary partners use when scaling a rock. There's plenty of time left to practice beginner-to-intermediate climbs, leaving you ready to take on new adventures.